In two sentences, the Department of Justice made an about-face on its previous stance on the health care law colloquially known as "Obamacare." "The Department of Justice has determined that the district court’s judgment should be affirmed," the letter to the US Court of Appeals for the Fifth Circuit reads. Led by California Attorney General Xavier Becerra, a group of 17 attorneys general are defending the law. "The Department of Justice has determined that the district court’s judgment should be affirmed," the letter to the US Court of Appeals for the Fifth Circuit reads. "Because the United States is not urging that any portion of the district court’s judgment be reversed, the government intends to file a brief on the appellees’ schedule." Under the former Attorney General Jeff Sessions, the DOJ declined to defend provisions protecting people with preexisting conditions — but said the rest of the law could stand, CNN reported. The ACA also includes Medicaid expansion, subsidies to help people purchase insurance, an allowance for kids to stay on their parents’ insurance until they are 26 years old, and more. "The Department of Justice has determined that the district court’s comprehensive opinion came to the correct conclusion and will support it on appeal," Kerri Kupec, a DOJ spokesperson, told CNN. 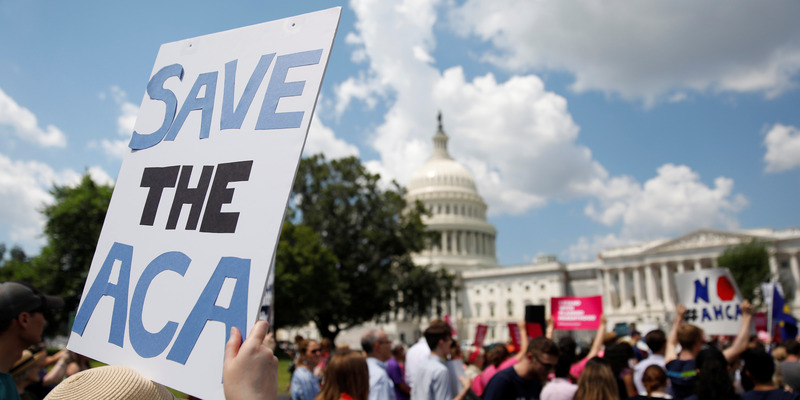 On Monday, the Associated Press reported that "11.4 million people have signed up for coverage this year under former President Barack Obama’s health law." "The ACA means health care coverage for 800,000-plus more people in Washington," Gov. Jay Inslee wrote on Twitter after the news broke. "Trump is attacking our health care again. We’ve stopped them before and we’ll stop them again. Hands off our healthcare." Democrats won a majority in the House of Representatives, running in part on protecting health insurance for Americans; many of the 2020 Democratic candidates are also running on expanded access to health care — including supporting proposals like Medicare for all. President Donald Trump, for his part, has promised health care solutions. However, Republicans have been unsuccessful in "repeal and replace" attempts in Congress.